A windfall of federal funding is headed to Connecticut to help low-income parents pay for child care so they can work. The funding, in the omnibus spending bill President Donald Trump signed Friday, would come at a critical time. In August 2016, Connecticut halted new enrollment in its Care4Kids child-care subsidy program for 15 months after a federal rules change allowed families to keep their subsidies for a number of months if they lost their jobs or their income increased and they would no longer qualify for help. If new families had been allowed to continue enrolling at the same rate, the eligibility extension would have cost the state an additional $30 million each year. The added federal funding in the omnibus would boost help for Connecticut by an estimated 29 percent – from $53 million to about $68 million each year. The state is contributing about $77 million to the Care4Kids program this fiscal year and is scheduled to increase that by about $6 million next year. The added federal money would mean an increase of about 12 percent in overall program funding. The federal changes meant a 42 percent drop in participation in the program. “It means every state will have increased slots,” she said. State Rep. Andy Fleischmann, the House chair of the legislature’s Education Committee, said he hopes that would be enough to prevent having needy families wait for help. The state has not yet estimated how many additional children or families the boost will allow for, but The Center for Law and Social Policy estimated 923 additional children would get help. Such an increase still would be far below historic levels of participation, however. When the program closed to new enrollment in 2016, the number of children receiving child care subsidies dropped 42 percent – from 22,957 to 13,223 last October, when the state’s Office of Early Childhood started enrolling children on a long wait list. 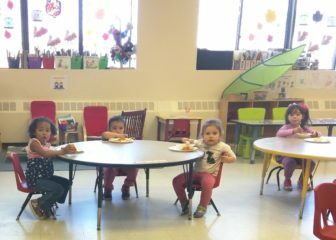 Months later, participation is still far below where it has historically been as the early childhood office attempts to stay within the program’s budget. Now, legislators, the state’s early childhood commissioner and advocates have clear priorities for how they would like to see the new funding spent, if possible. When the General Assembly last considered such an expansion, the legislature’s nonpartisan fiscal office estimated it would cost the state $36 million a year. 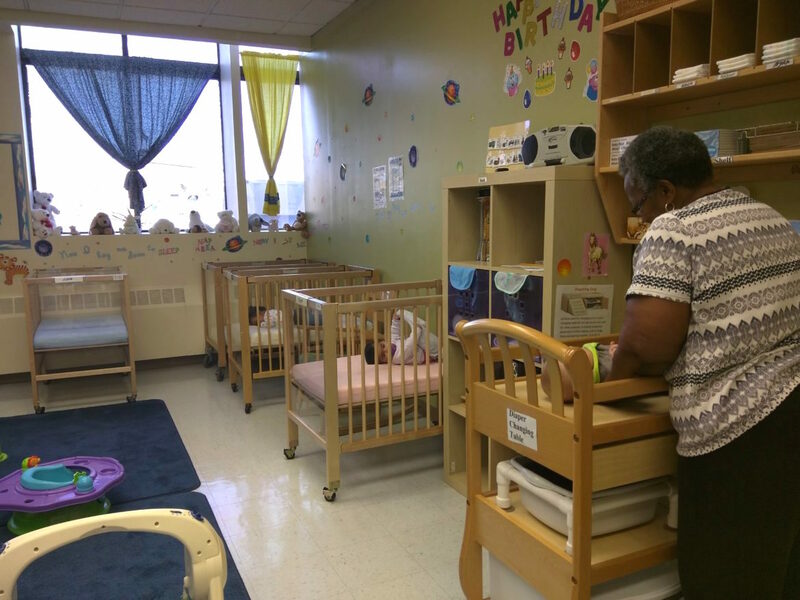 Affordable child care programs used to operate at several community colleges, but recent state funding cuts to higher education have resulted in closing all of them in recent years. Another option advocates say needs to be explored is increasing how much families receive in subsidies for infants and toddlers. Weekly subsidies for children in full-time programs currently range from $131 to $251, depending on where in the state a child lives. Those rates lag significantly behind the market rate for care in most regions, a 2015 study commissioned by the state found. Merrill Gay, leader of the Early Childhood Alliance, which advocates for child care providers, said such low rates mean that too often families still can’t afford to send their children to high-quality programs. “It means people who want to go back to work have made that decision to stay out of the workforce. It puts them behind in their careers because child care is so enormously expensive,” he said. Connecticut’s child-care costs are among the highest in the nation. A study from ChildCare Aware of America found that center-based infant care in Connecticut costs an average of $14,238 per year, which the group estimates is about 60 percent of the median annual income for a millennial in the state. The low rates also could cause families to enroll their children in unregulated and unlicensed child care that they can afford. Four children have died in such programs since August 2017. The low rates also can mean that child care programs that enroll high proportions of children receiving Care4Kids face financial strain and can only pay low wages. “We are currently providing poverty wages,” said Gay. It’s an issue that is on the state’s radar, Wilkinson said. Correction: This story was updated at 4:20 p.m. to correct inaccurate participation rates reported by the Office of Early Childhood for October 2017.